Albuquerque, NM – For the entire month of June, a cohort of teenagers from across Central New Mexico have decided to take their dreams into their own hands. 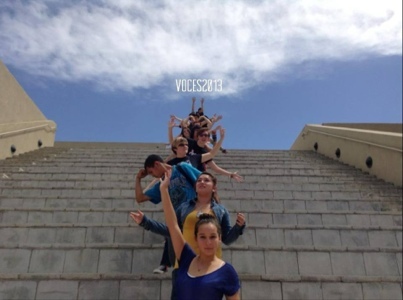 Rather than getting a job (a real need for many New Mexico teens) or sitting home playing video games (for those who have that privilege), these teenagers decided to embark on a journey to become professional writers in Voces. 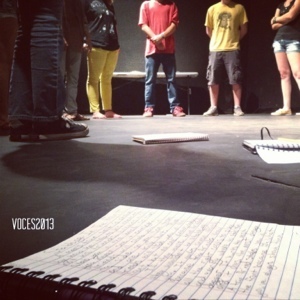 Each June, the National Hispanic Cultural Center offers Voces: Writing Institute for Youth, a four-week, intensive writing workshop for high school students. Writing mentors works with a group of students for a month, guiding them through a curriculum of writing, editing, and performing. Writers, published authors, musicians, communications strategists, comedians and local poets with varied experience are invited each summer to participate as instructors and role models. 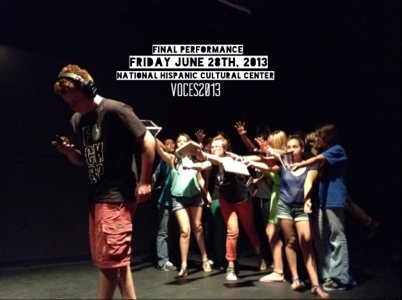 The public is invited to a special celebration and FREE performance of the students’ work on Friday, June 28th at 7pm at the National Hispanic Cultural Center. Additionally, the National Hispanic Cultural Center publishes a collection of their work each fall. A 12 year-old program, this year’s team of writing mentors is led by Carlos Contreras. 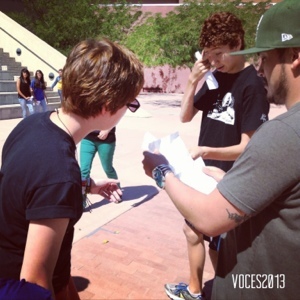 Contreras began as a student in the Voces program in its first year (2001). Progressing through the ranks from student, to student mentor, to program coordinator, Contreras is also a co-creator of the multimedia Hip Hop theater collaborative Urban Verbs. 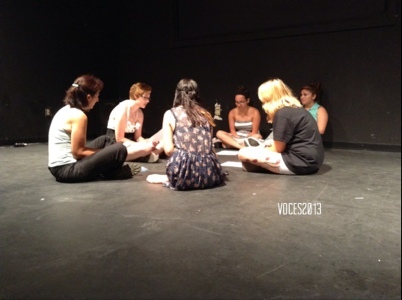 Along with artist-producer Colin Diles and Albuquerque poet laureate Hakim Bellamy, Urban Verbs has acted as lead facilitators and artists-in-residence at this year’s Voces. Besides just helping the students edit and better their writing and performance, Urban Verbs’ involvement gives students a unique opportunity to learn more about DIY models of self-distribution for their creative output. “In this day and age, it is not enough to have something to say,” says Contreras. “You must know how to demand an audience, that is the only way to make a difference and a living as a writer. 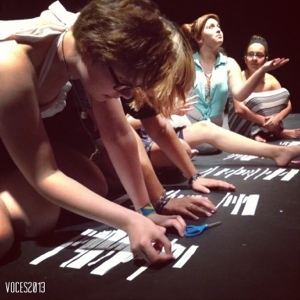 We are teaching our young writers that piece as well.” Through the Urban Verbs network, the Voces students have enjoyed visits from the 2013 Albuquerque Poetry Slam Team, comedienne Sarah Kennedy, Denver’s Bianca Mikahn, publisher V.B. Price, Oakland-based communications strategist Karlos Gauna Schmeider, and many more.